Collins Booksellers - 6 Months to 6 Figures: A 23-Minute Bathroom Genius Summary by Bern Bolo, 9781680303551. Buy this book online. Your "time is valuable", so we keep it concise and DOABLE. 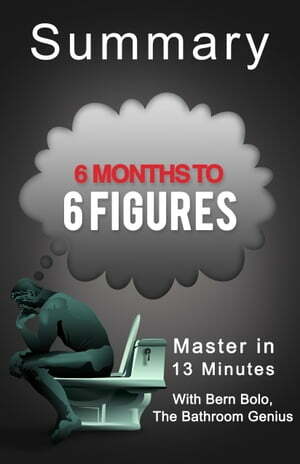 This summary will give you a new perspective that will guide you to getting 6 figures in just 6 months, and give you the essential secrets you need to know from the book 6 Months to 6 Figures by Peter Voogd. * Concise and short summaries of each chapter that values your time and lets you get the most valuable lessons from the original book. ? * A complete overview of the entire book, which can massively help you. * Funny Genius quotes that relate each lesson to each chapter that keeps your reading FUN. * Step-by-step principle guides to help you apply these concepts in your business.